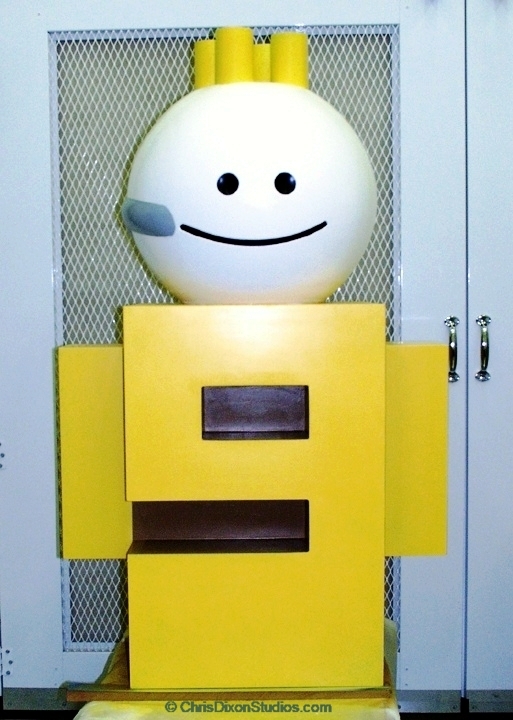 5 foot tall Channel 9 Guy logo for custom promotions. Two of these guys were CAD and CAM constructed with CNC milling machines. Blue dip for Microsoft Channel 9 Guy internal news network, 5 foot promotion.